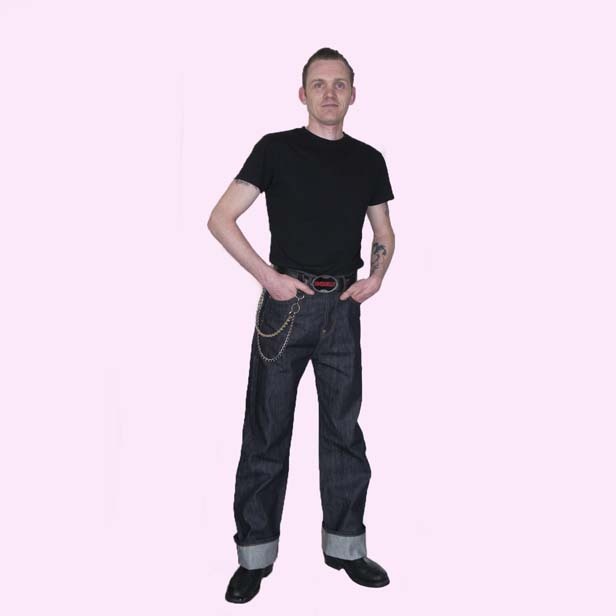 Classic 1940’s vintage look American jeans made with Red Selvage denim. 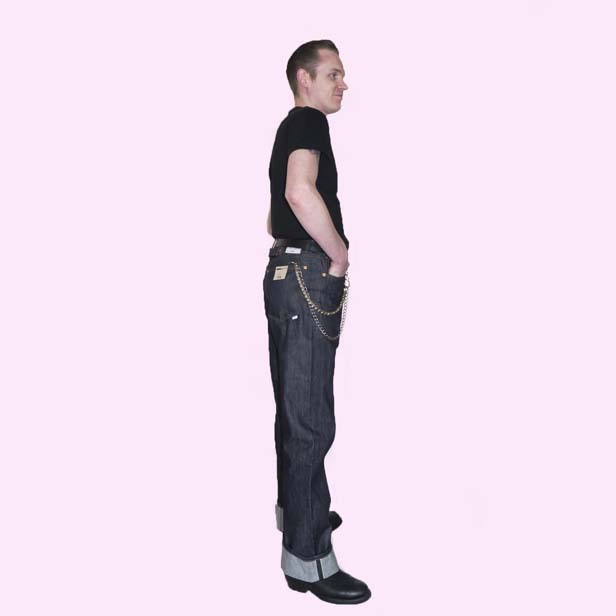 These are a replica of the US Navy Deck jeans from WW2 which are based on the American denim work jeans of the 1930’s and 1940’s. Five pockets including a small watch pocket inside the right hand front pocket. Long legs so your can roll the ends up. 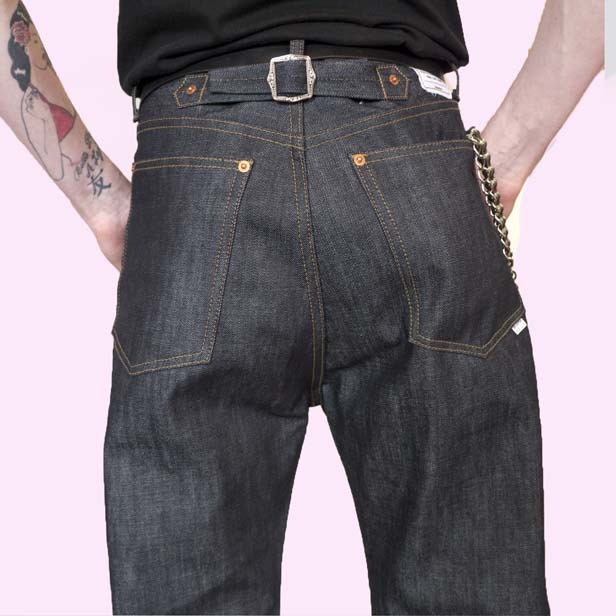 The 32″ waist has a 34″ inside leg. Small adjustable waist band with adjustable metal buckle on the rear. Copper rivets at stress points. White vintage military looking label on the back with a date of 1941. Metal buttons on the fly. The inside leg seams are stitched using an overlock stitch, so you can see a single line of golden yellow stitch down the inside of the legs. 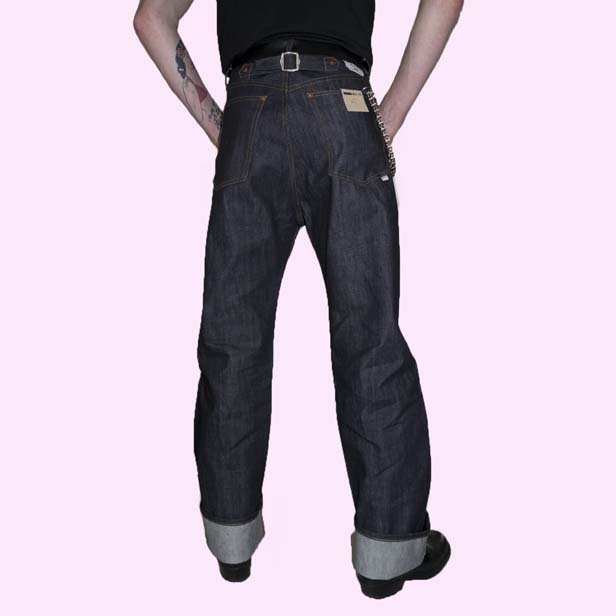 The Selvage is on the inside and can be seen on the hem when the bottoms are turned up (rolled up) and as they are on the outside of the leg, giving the vintage look.